Now let’s make things clear! I am no Mary Berry but I just love baking. I only discovered it about 5 years ago, before that I was one of those mums that included a packet of ready-made bun mix in a baking day. I had no desire to bake from scratch ever; that’s for packets were for. 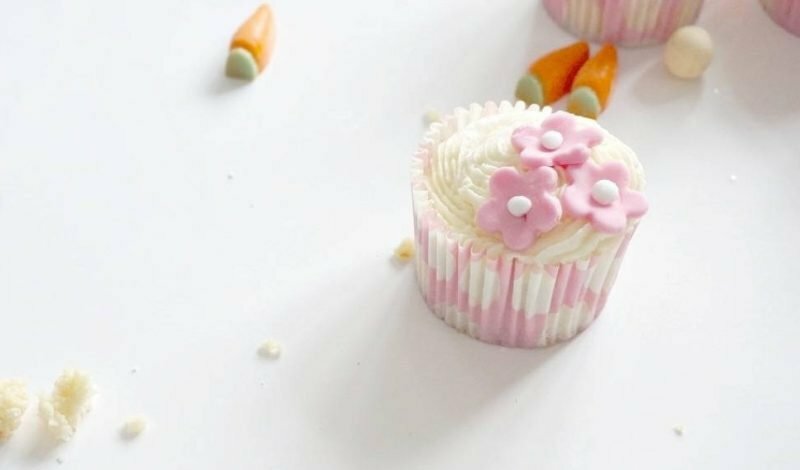 I remember the day everything changed, one of my friends made the most incredible birthday cup cakes, seriously they were amazing, a whole collection of creepy crawlies, that ever party guest was marveling at. I am not at all a jealous person, me and jealously just don’t gel, in fact I would go as far to say it is a trait in others that I really struggle with. I honestly cannot comprehend why anyone gets that feeling, and it must feel awful. Blimey I am meant to be talking cup cakes and here I am getting all deep. My point is that although jealousy is not on my radar, competitiveness is. Not with others! With myself, if I see something I haven’t done before, something creative I make it my mission to overcome and master it. That inspiration generally comes from others, where else can it come from. So when I saw those creepy crawlies I knew baking was a mission I had to set myself. Let me tell you, it wasn’t easy, the first ever set of cup cakes I attempted I managed to curdle the butter, you have never smelt anything like it, but I persevered with optimism thinking it would all come good. That first batch of cup cakes tasted of cheese! I kid you not; as Chris and the Boys tried them I never forget the rush to the bathroom to spit the offending cheese cup cakes into the toilet. Bless them they tried to be positive but actually, the truth is you would not have fed them to your worse enemy. For us, baking has become something we all get involved in. Jack can competently bake a cake alone, and if he is in the mood and wants cake he has been known to bake it. Joe will always be involved at some point of the process but hasn’t got the staying power to see a project thorough. 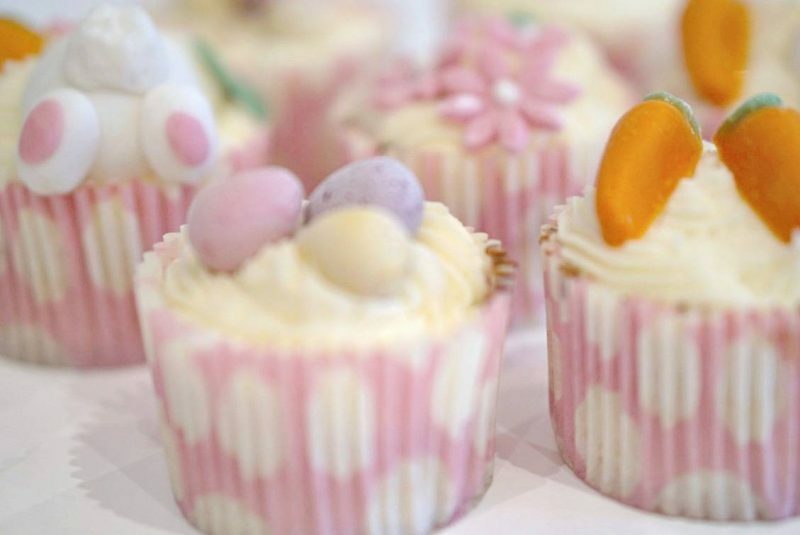 Yesterday I decided I needed to bake, and Easter Cup Cakes seemed the obvious choice. 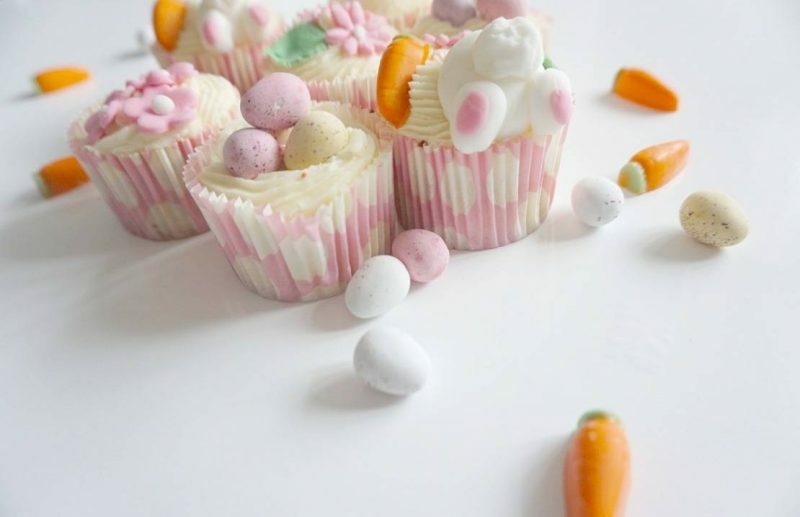 I had made bunny bottom Easter cakes before so decided that was exactly what I would do. I just love that feeling of freedom and peace you have in the kitchen. When its ok that you are covered in icing sugar, and you can sneakily taste the mixture every now and then, for continuity purposes of course. 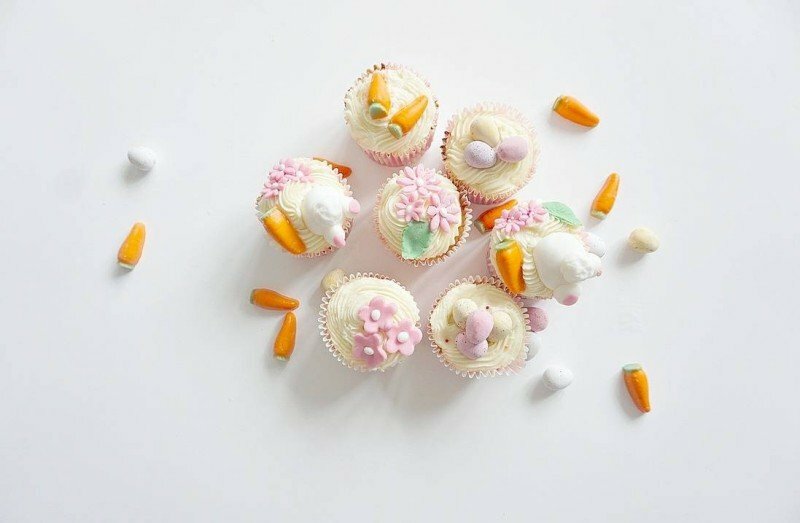 And this is what I came up with cute little Easter cakes with bunny’s bottom’s, flowers and mini eggs. And feeling the best mum in the world when I had those babies on a tray ready for the boys coming home. 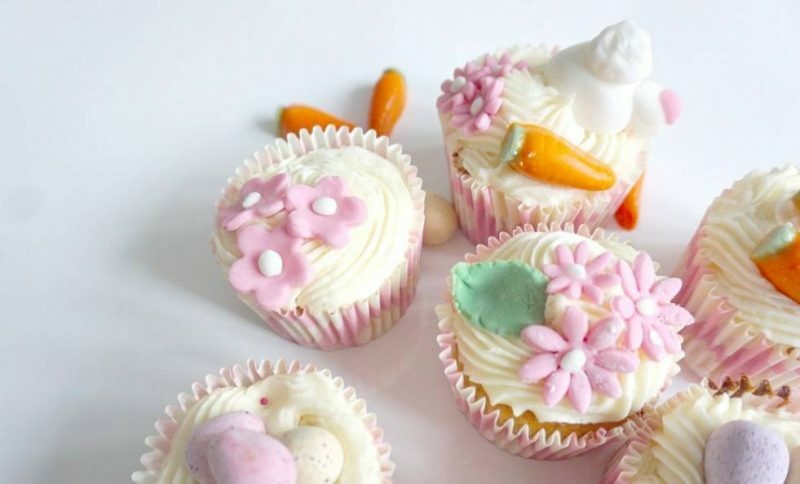 Ok being able to bake may not make me a great mum, but it is something that engages the whole family, with the tasty treat at the end being a reward worth pursuing. And here is my little vlog of how to decorate them, it’s so easy to do when you know how! But bear with me, this is the first video I have filmed like this eeeek. oh my, what wonderful little cakes and great photography too. I could go for one of them right now!